This was a big week for corporate results with five more companies reporting. The Colombia-Canada Chamber of Commerce’s Dialogue Canada event on Thursday, November 15, 2012 offered its attendees a rare treat: the chance to see the head of the National Hydrocarbons Agency (ANH), Orlando Cabrales, Pacific Rubiales’ Jose Francisco Arata, Talisman’s Chris Spaulding and Petrominerales’ Jack Scott all on the same stage. We had lunch last week with Rafael Nieto, lawyer, ex-vice minister of justice in the Uribe government, ex-president of Greystar/Eco Gold, newspaper columnist and founder of the firm NSG which helps companies with issues of community relations and environmental permits. For the past several months, we have been publishing the Friday closing prices for WTI and Brent. 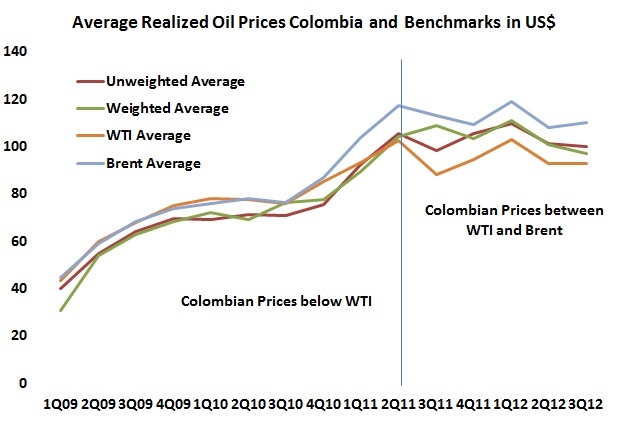 Nothing radical there but we have also been making qualitative and quantitative comments about Colombian oil prices. Colombia or at least its investor-class has been shocked by the collapse of the country’s largest broker, Interbolsa. There is a remote and probably irrelevant connection with PetroNorte, but the surprise has been Mansarovar. 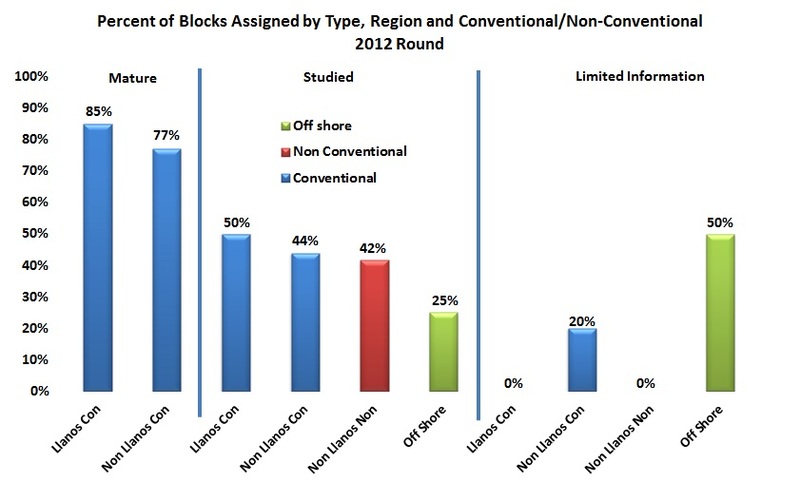 There are many arguments about whether the 2012 Round (Phase I) was a success or failure but with only 5 of 30 blocks assigned there is no doubt about the non-conventional blocks. We attended the first pass at the 2012 Round on Wednesday October 17th. There will be a second round on November 28, 2012 where the same pre-qualified companies will have a chance to bid on blocks left unassigned in the completed phase. Featured commentary by ex-MinMinas Luis Ernesto Mejia. Also performance statistics from the National Environmental Licensing Agency. 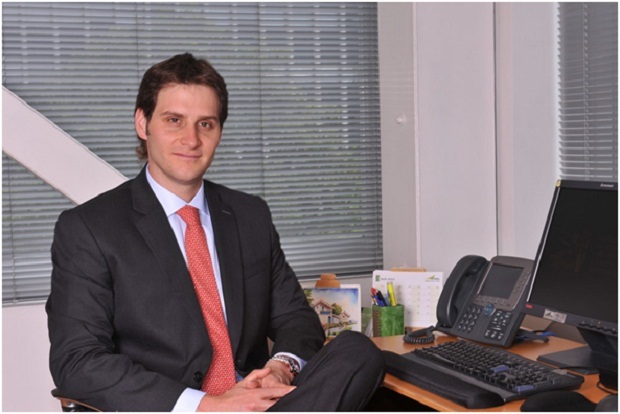 HCC-The oil industry says that due to transport problems (caused by under-capacity) Ecopetrol’s reputation was being negatively affected by prioritizing its own crude first and then, if there was left over capacity, grant some to others .